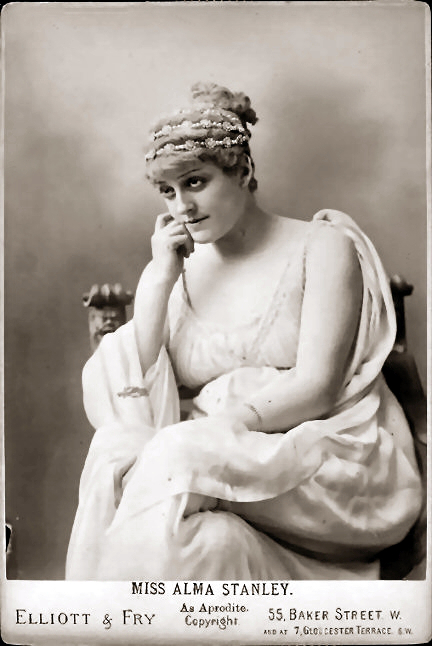 Stanley, Alma (1854–1931): Popular on both sides of the Atlantic, she made her debut in Milan and her British debut in 1873. Stanley's first big success in America came in February, 1882 at Wallack's Theatre in New York. She returned to London and appeared at the Adelphi in a revival of Dion Boucicault’s Streets of London (1883).